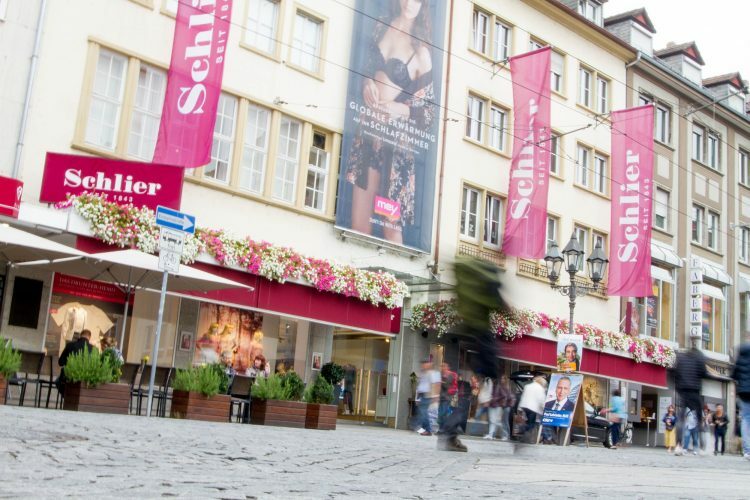 Shopping in Wuerzburg – you are welcome at Schlier’s! Friendly salespersons saying “hello”, 5 floors full of textile surprises, classic meets modern, fair prices, relaxed atmosphere and inspiring service? Well, when you will find all of these on one single spot – then you are at Schlier’s! The family-owned department-store Schlier in Wuerzburg is offering very friendly service, a large selection of well-known labels and brands for fashion for women, men and children, lingerie and underwear, linen & things, typical German bedding and home textiles – all in first-class quality. And – of course – always with the best service according to the Schlier-motto „Yes – gladly – immediately“. At Schlier’s, you will find a wide variety of souvenirs to bring home to your loved-ones. And we ship merchandise such as German fetherbeds, Pillows and quilts worldwide. This is Schlier – since over 5 generations a real institution in Wuerzburg!